I'm going to make a late call about whether I go. Not sure I fancy a 4 hour round trip on a Sunday. That looks fantastic, well worth the effort. I'm loving that. Top work! I'm jealous of your trip too. This year is my 10 year anniversary of not going. I was playing golf yesterday with a friend of a friend. 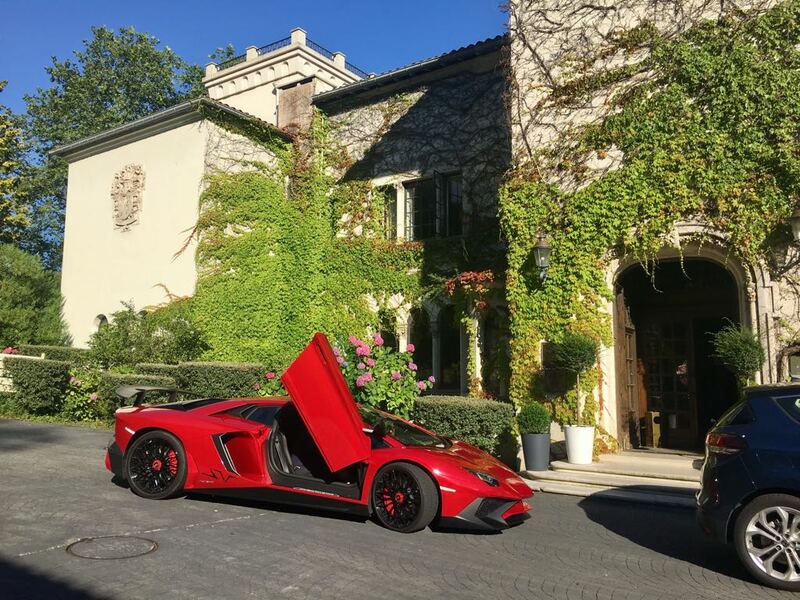 He told me he was going to Le Mans in his Lamborghini, so I sent him a pic of your car and told him to look out for you his name is Vic. I've attached a pic of his car for your reference. Great to see her (and you) at Beaulieu yesterday. 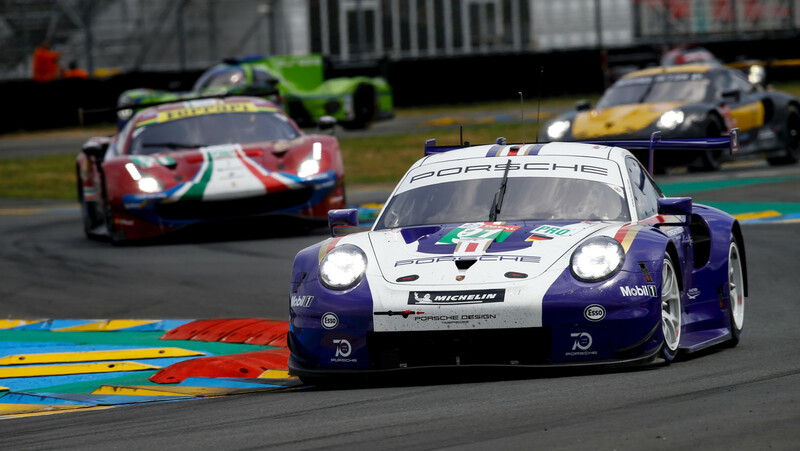 I'll be down at Le Mans and will keep an eye open for your car, it shouldn't be hard to miss! 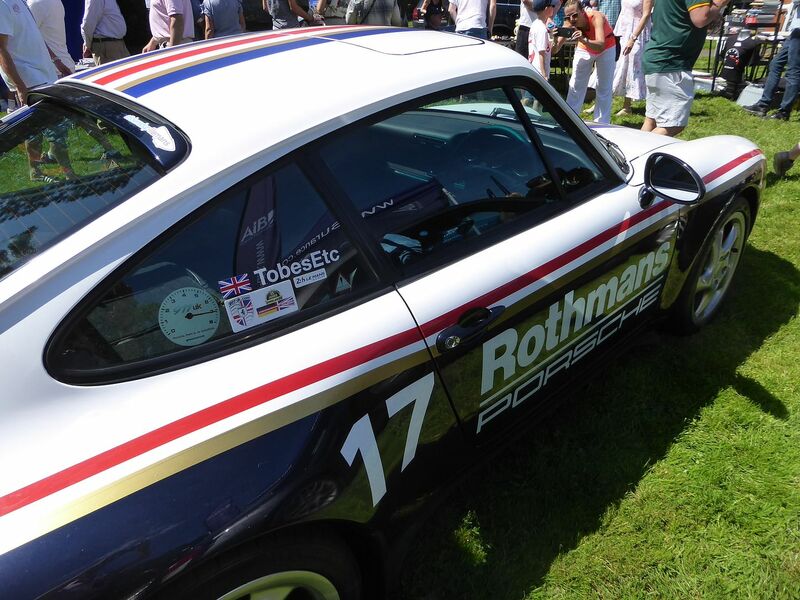 Have you seen that Porsche have re-liveried one of their works cars in a Rothmans retro livery for the race? More I see this more I love it. Always thought that livery was one of the best on any race car, bit like the Martini. Wonder if Id get away with it on a Zenith blue car. Yes, I've seen this and I am currently begging Porsche upon bended knee to give me a photo-opp with the real one! Saw your car at Simply Porsche, I thought it was hands down one of the most striking cars there, great job. That looks the Mutts Nuts! Great effort. Will hopefully get mine done this weekend, assuming my refurbed shocks turn up in time. Right, after considerably more hassle than it should have been, the HS-TT wheels are now plasti dip matt white. However, my new Oz Racing wheels also arrived this weekend. Oh, and feel free to not like the black wheels - virtually no one, apart from me, does! black looks good to me. well done for doing it and taking the time to share it.